Outreach visits are available for community groups, clubs, schools, charitable organisations, festivals and even corporate events! This is a fantastic way to bring learning to life. 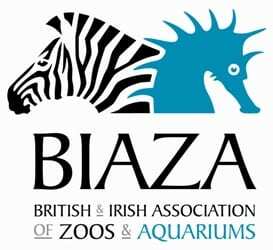 Seeing these incredible animals up close and outside of the context of the zoo enables you to appreciate the beauty in their form, and the remarkable adaptations these animals have. In most cases, Outreach events are hands-on, so visitors can touch many of the animals. Keep in mind that although we usually draw a large crowd, the outreach visits are Educational visits, and not simply for entertainment. The animals we bring along are all accustomed to being handled and transported to such events. However, for various reasons we may judge that an animal on the day is not suitable for handling. Our priority is for the animals’ well-being. 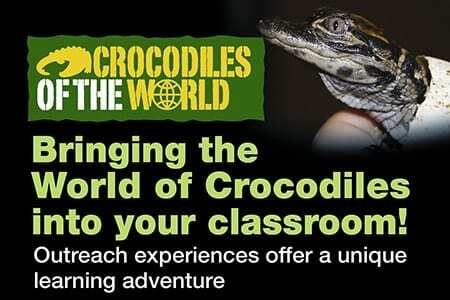 A member of the Crocodiles of the World education team to tell you about all the animals. Tailor talks to what you require. Examples include: Conservation, Ecosystems, Biodiversity, Habitat, Adaptations, Predation, Science and many more.